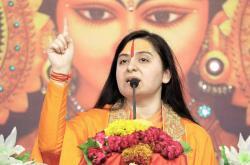 Devi Bhagwati is epitome of immense love and mercy. She always showers heartfelt divine affection on all her devotees. Just like the way mother loves her children, Devi Bhagwati loves all her children and blesses all. 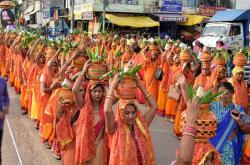 Scriptures mention that Devi Bhagwati is a goddess who bears different incarnations, one who absorbs all the pain and misery from her devotees and bless them for heaven. 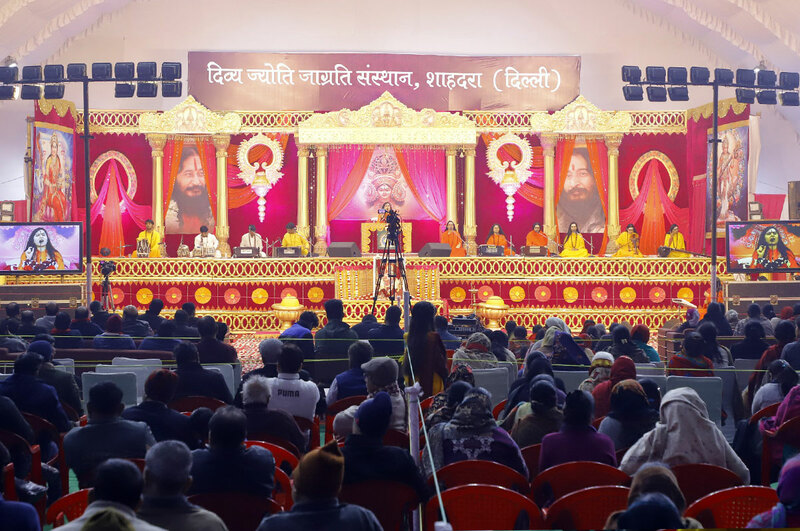 In order to make the audience aware about the divine messages of Devi, DJJS (Divya Jyoti Jagrati Sansthan), organised a seven days event of Shrimad Devi Bhagwat Katha from 23rd- 29th Dec 2018 at CBD Ground, Shahdara, Delhi. Hundreds of people under the divine roof got drenched under divine shower. 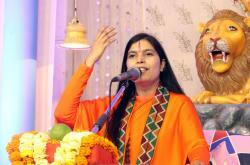 The spiritual Katha orator of the event was Sadhvi Aditi Bharti Ji, who successfully painted a picture of new Divine Age in front of the audience. The event commenced with the holy prayer at the lotus feet of Goddess. A series of devotional bhajans and inspirational songs made people to understand the value of this human life and to work on the supreme goal of life with the help of Divine Knowledge. The music and divine knowledge elevated audience’ thoughts and directed them towards the positive change which is yet to realize. Sadhvi Ji raised the question to the audience as to what sort of Durga Pooja and Vijayadashami we celebrate today. In spite of all the worship and large number of temples, we can witness lots of dreadful acts and incidents in our society. Devi Maa killed the monster Mahishasur and established the true religion but today we all are fighting in between the religions. Sadhvi shed light on the true definition of religion by explaining that religion is not a path, not a talk and not a reading of the scriptures but the true realization of Maa Shakti. Today we all know that Mahishasur is nothing but the increased number of violence, accidents, rapes, human trafficking and a directionless youth in the society. Whenever any man disrespects women, society ceases to maintain its balance. 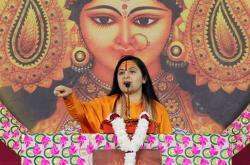 Sadhvi Ji shared the supreme solution in front of all the women by creating awareness for knowing thy-self. Until the women of today would experience their true-self, changing society is impossible today. Sadhvi Ji also explained the positivity, divinity, blissful ambience of a divine new age which would be established by the divine beings on the Earth very soon. With orators’ words and inspirations, audience was overwhelmed by the emerging pictures of a new divine age as portrayed by Sadhvi Ji meticulously. Everyone expressed their heartfelt gratitude to the organisers for making them an audience of such a pious and divine event, the one they can never forget in their lifetime.